(Bloomberg) -- President Donald Trump’s intensifying border crackdown promises to make immigration a central issue of the 2020 campaign, but the Democrats running to replace him haven’t yet offered voters a detailed vision beyond fierce opposition to his policies. A new surge of migrants at the southern border is exposing divisions among Democratic presidential hopefuls about whether to stick with a six-year-old bipartisan vision for the immigration system or to make sharper changes such as decriminalizing undocumented migration. 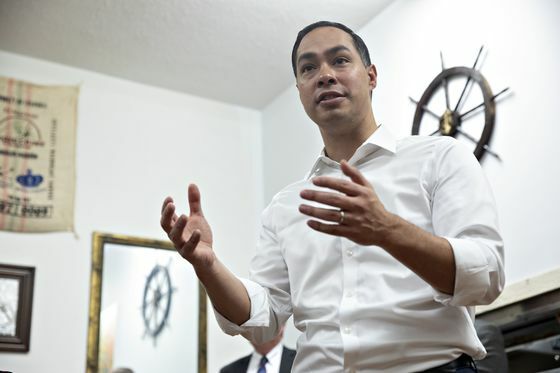 Julián Castro is trying to break out of the bottom of the presidential pack by releasing the most detailed plan yet, which would remove criminal penalties for unlawful immigration and make it a civil violation. Front-runner Bernie Sanders has called for "fundamentally restructuring” immigration enforcement without defining what that means, while Beto O’Rourke is sticking with more modest ideas like passing the DREAM Act and prioritizing deportation of criminals. More than any other issue, Trump used immigration in 2016 to galvanize a voting base of mostly older and white voters who are disenchanted with demographic and cultural changes in the country. With a re-election campaign in his sights, Trump is ramping up tension with threats to shut the U.S.-Mexico border and cut off aid to Central American countries where migrants are fleeing violence and instability. He’s also purging his Department of Homeland Security in order to get “tougher” on immigration enforcement. Many Republicans view immigration as a winning issue for them in 2020, and some progressive activists are fretting that Democrats will be left flat-footed without offering voters a vision for dealing with a flood of migrants and a system that both sides long have acknowledged is dysfunctional. “The Democrats do not have an option to just head into that fight without some kind of defined alternative,” said Ezra Levin, a co-founder of the progressive group Indivisible. “Elections fundamentally are about choices. And so we know Donald Trump’s choices — we know what he is presenting," he said. "What is the Democratic alternative? How do we view what America actually stands for?" In the 2018 congressional elections, Democrats won 40 House seats and took over the chamber after their candidates de-emphasized immigration and ignored Trump’s rhetoric. But the certainty of Trump weaponizing the issue in 2020 and a brewing crisis at the border has emboldened hardline voices in the administration, such as policy adviser Stephen Miller. “We have to close up the borders,” Trump told reporters Tuesday when asked about Monday’s ouster of DHS Secretary Kirstjen Nielsen. Southwest border apprehensions topped 100,000 in March, more than six times the level during March 2017, and higher than any month during the 2014 migrant surge under President Barack Obama, according to data from Customs and Border Protection. Two weeks ago, the agency head announced that the border was at "the breaking point." Democrats largely have reacted to Trump’s latest moves by slamming his policies. Senator Kamala Harris has accused the president of trying to "scapegoat" immigrants for the nation’s problems. 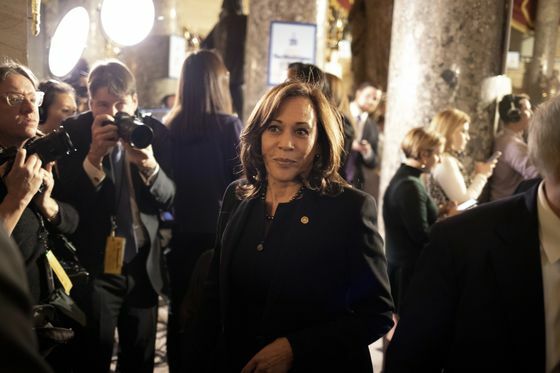 Asked Monday on MSNBC how she’d handle the border crisis, Harris called for reversing Trump’s aid cuts to Central America and proposed “a robust approach to processing asylum claims” inside the U.S., without fleshing out what that would look like. O’Rourke and Castro have called for a new Marshall Plan to help stabilize Central American countries with horrific conditions that have led many to flee to the U.S. Castro went further, calling for cutting Immigration and Customs Enforcement in half and limiting its role to issues such as drug trafficking and terrorism, without treating unauthorized migrants as criminals. 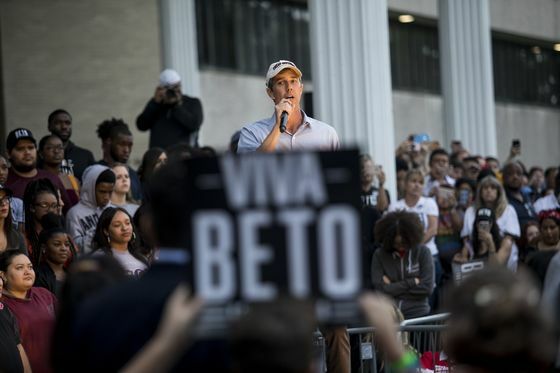 O’Rourke, a fellow Texan who campaigned across Iowa last week, outlined a vision similar to the 2013 immigration overhaul that passed the Senate with unanimous Democratic support but died in the GOP-led House. O’Rourke said he wants to turn young “dreamers” into Americans, give their parents legal status, end ICE roundups and deportations of “people who pose no threat to their community,” and raise visa quotas. Senator Amy Klobuchar of Minnesota last week called the 2013 immigration bill “a great model” for reshaping the system. She and like-minded moderates aren’t signing on to the push to scrap ICE, which was set up in 2003, and reassign its functions. But the party has changed in the last six years, pulled in a more pro-immigrant direction by an ascendant base of progressives and Hispanics. Some new House Democrats like Alexandria Ocasio-Cortez of the Bronx and Ilhan Omar of Minneapolis want to freeze ICE funding until the agency is scaled back. Other congressional Democrats, who were elected from swing or Republican-leaning districts in competitive parts of the country, as well as some of the presidential candidates have rejected dramatic proposals such as scrapping ICE or decriminalizing unauthorized immigration. That’s forced party leaders to walk a line between competing factions. Asked about Castro’s plan, Hakeem Jeffries, a member of the House Democratic leadership, declined to discuss it and pivoted to bashing Trump’s policies.